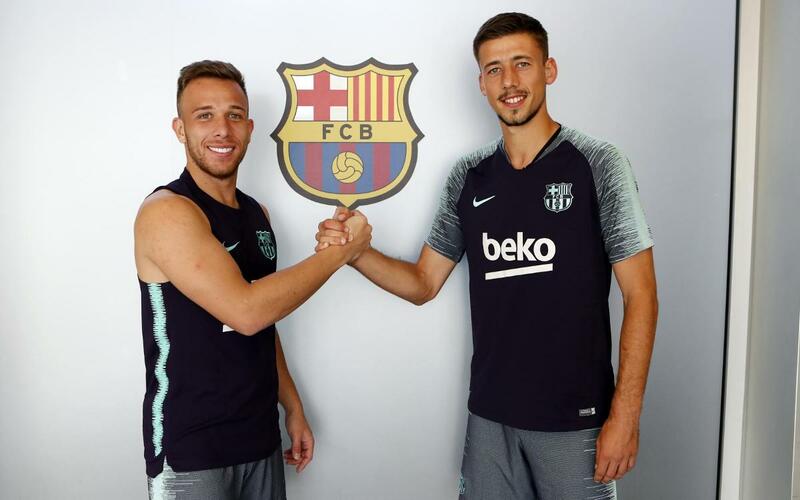 Arthur Melo and Clément Lenglet are getting ready for their first season at FC Barcelona, and the pair have enjoyed a packed schedule of training sessions at the Ciutat Esportiva. The Brazilian joined the club a little over a week ago, and was officially presented at the Camp Nou on 12 July. He was in training soon after, getting to know the club methodology and some of his new teammates. Lenglet was unveiled on Friday, 12 July, and has also wasted no time in getting up to speed. The pair have recently been undertaking double sessions with a selection of the first team players and reinforcements from Barça B. This week they make their first away trip as Barça players, for a preseason tour of the USA that will see them play against Tottenham, AS Roma and AC Milan.